After graduating from LK Singhania Education Centre in 1996, Rohit decided to pursue electronics engineering at Oxford Brookes University. After finishing his bachelor's as a university topper, he went on to specialize in Integrated Circuit design at imperial college London. Having topped the M.Sc. program, Rohit was offered a sponsored Ph.D. position at Imperial, which he duly accepted. Currently, Dr Rohit Arora is based in USA working for Diodes Inc. as a Principal Design Engineer. Kailash Mosalpuria completed his senior secondary education from LKSEC in 1998. 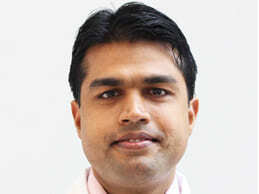 He did his MBBS from the All India Institute of Medical Sciences in New Delhi in 1999. 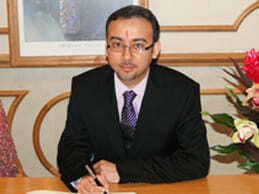 He got a Masters in Public Health (MPH) degree from the University of Texas - School of Public Health in Houston in 2010. During his post-graduation he worked as a graduate research assistant at the University of Texas - MD Anderson Cancer Center, his MPH desertion thesis on breast cancer resulted in a number of scientific publications as well his MPH desertion thesis. From there onwards he completed a year of post-graduate internship in general surgery at the North Shore Long Island Jewish Medical Center in New York City before transitioning to a three year post graduation in Internal Medicine at the Columbia University affiliation at Harlem Medical Center in New York City. He then moved to Omaha in Nebraska in 2013 where completed his super-specialization of 3 years in Hematology/Oncology (blood disorders and cancers) at the University of Nebraska. After completion of fellowship, he joined a private practice as a staff physician at Nebraska Hematology Oncology, P.C. in Lincoln located in Nebraska in 2016. He was inducted as a fellow of the American College of Physicians (FACP) in 2016. Lalita Kanwar received complete free Education from the institute through ‘Soldier Beneficiary Fund ‘created to educate Kargil war martyrs’ wards as one of the philanthropic activities of the institute. 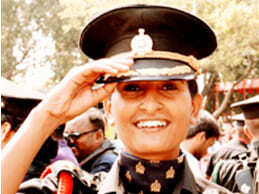 She is the daughter of a Kargil martyr Capt. Rajvir Dan. Lalita Kanwar joined LKSEC campus as a pre-primary student. She belonged to a typical Marwari family ignorant of urban educated class life style. While studying in LKSEC under the guidance of teachers she grew up to be a well groomed up personality and accomplished her father’s dream to serve the nation by joining Indian Army. Nikita Chandak, a 2014 pass out from LKSEC, Gotan is a Nepalese model and beauty pageant title holder. She won the title of Miss Nepal 2017 in an event held on June 2, 2017. She also won the Miss Popular Choice and Miss Confident titles. In Miss World 2017 held in U. K. She was first Miss Nepal to find place in Top Model competition. She was placed in Top 30 in Top Model competition. She was 2nd-runner up in Multimedia award. She was in Top 10 in People's Choice Award. She was placed in Top 20 in her Beauty with a Purpose Project. She won head to head challenge from Group-3 which helped her to get place in Top 40 in the pageant. She is from the Marwari community, enriched with Indian culture and practices. In her school days, she was obedient and obeying all the rules and regulations which makes her one of the favourite students of her teachers. Nikita loves dancing and singing in fact she a good singer. She also likes to travel the places and loves to explore the lifestyles of people of different communities. Nikita had her interest in music and acting. Her aim was to be an actress and social worker. And, she has achived both with pride and style. Rani Singh: Winner of Haut Monde Mrs India Worldwide 2018. A 1999 pass out student of LKSEC Rani Singh won Haut Monde Mrs India Worldwide 2018 held in New Delhi, on 21st September, 2018. Τhe Mrs India Worldwide pageant, which envisions a future where all married women realise that they are strong, beautiful, and complete is really a prestigious event.. ‘Charity is the best reflection of beauty’ Mrs.India Worldwide Rani Singh believes that everyone has to give back something to our society. She has worked to raise fund to support Rashtriya Blind School. Presently she is a teacher in’ Sapphire International School,’ Noida.